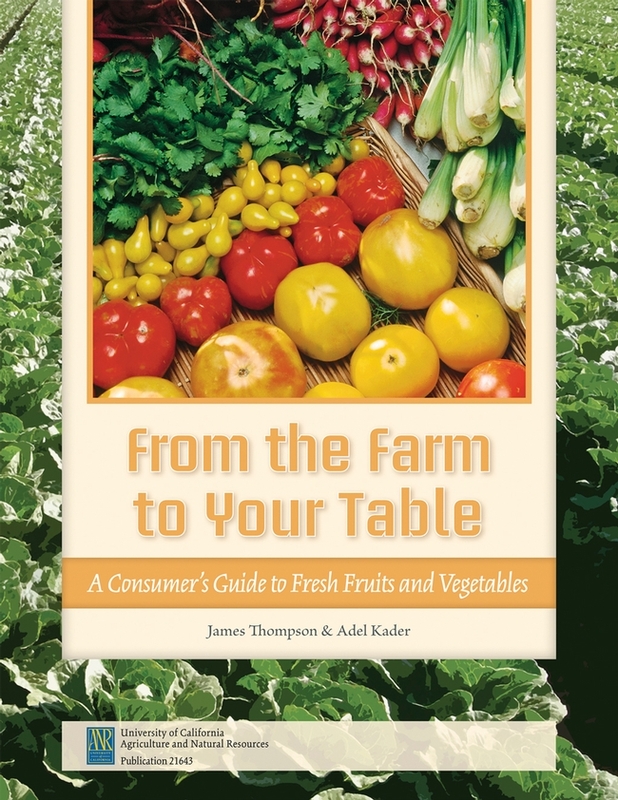 UC ANR's popular guide to fresh produce is now on sale. Farmers markets, produce stands, and likely your own backyard garden are an exploding bounty as California strawberries, stone fruits, and tomatoes show the summer produce season is in full swing. But have you ever wondered what to look for when selecting fruits and vegetables? Why does your refrigerator have separate bins for fruits and vegetables? Should fresh tomatoes be stored in the refrigerator or on the counter? And how do you keep fresh basil fresh until you're ready to use it? And now through July 31 the publication is 40 percent off if you order through our online catalog. So you can grab a copy for under $5. This guide is brimming with tips from the pros at the Postharvest Technology Center at UC Davis. You'll find information on storage and handling for quality and safety as well as handy tables explaining which fruits and vegetables should be stored in the refrigerator and which should be stored on the counter. You'll also learn what to look for when selecting popular produce items for best quality. And if you've ever wondered the steps your produce takes to get from the field to your market, the journey is explained here. Oh, and the answers to those questions? Your refrigerator has separate bins so you can keep keep ethylene gas-producing fruits such as apples, peaches, and pears away from vegetables. The naturally occurring gas can hasten spoilage of vegetables. Un-cut tomatoes should be stored on the counter, not in the refrigerator. And keep your basil fresh by treating it as you would cut flowers; place the stems in a glass of water on the counter until you're ready to use it. Thanks for supplying the current and relevant information regarding the postharvest technology of perishables. Keep it up and we will make use of the information and exchange experiences on the specified issue.